Welcome to the MoonCrazy Fibre Arts Online Store! We provide handmade felted soaps, hand-spun yarn, and hand-knit items made from natural Maine fiber producers, including our very own Angora rabbits. 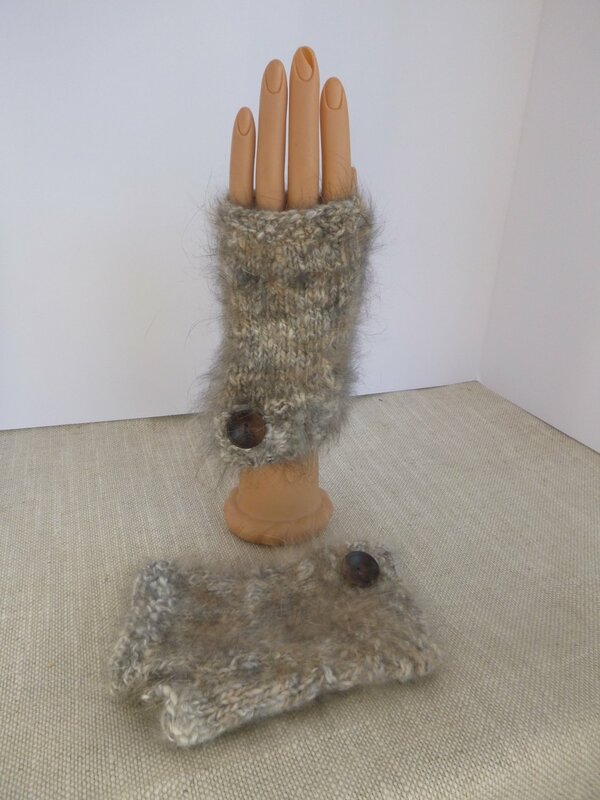 These handwarmers are 100% angora from our own bunnies! MoonCrazy Fibre Arts offer a standard, flat-rate shipping price of only $5.00 per order. Please allow 3-7 business days for delivery! We are a small, family farm located in Oxford County, Maine, owned and operated since 2007. Our mission is to provide handmade products made from locally sourced materials from Maine farmers and growers, in a manner that is safe for all living things and a joy to use. We are intent on promoting awareness of the many benefits of using resonsibly wild-crafted and organically grown plants as well as fiber harvested from loved and cherished animals. Our truly natural products are handmade in Maine, biodegradable, minimally packaged with recyclable materials, and we use no synthetic fragrances or colors. We try to be mindful of every purchase we make and strive to support fair trade, local, organic, and sustainable businesses. Our family thanks you for your interest and your support.